Sarah Nader - snader@shawmedia.com Huntley's Eric Mooney throws a pass during the fourth quarter of Friday's football game against Cary-Grove in Huntley Sept. 22, 2017. 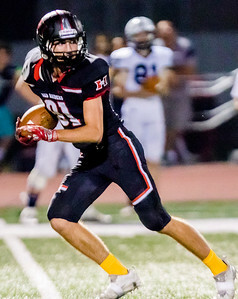 Huntley defeated Cary-Grove, 41-32. 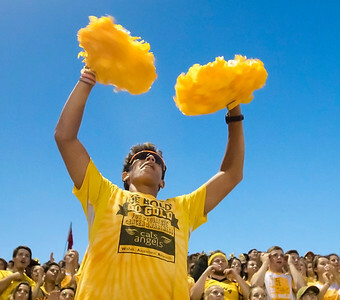 Sarah Nader - snader@shawmedia.com Huntley fan Youssef Abbadi, 18, cheers on the Huntley football team during Friday's home game against Cary-Grove Sept. 22, 2017. Sarah Nader - snader@shawmedia.com Huntley's Melvin Aninagyei-Bonsu scores a touchdown during the second quarter of Friday's football game against Cary-Grove in Huntley Sept. 22, 2017. 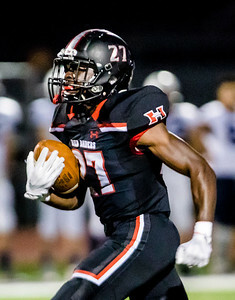 Huntley defeated Cary-Grove, 41-32. 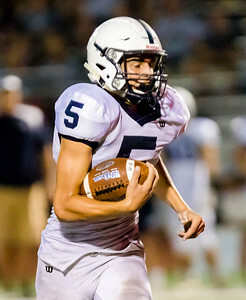 Sarah Nader - snader@shawmedia.com Cary-Grove's Quinn Priester runs the ball during the first quarter of Friday's football game against Huntley Sept. 22, 2017. Huntley defeated Cary-Grove, 41-32. Sarah Nader - snader@shawmedia.com Huntley's Matthew Gelander runs the ball during the second quarter of Friday's football game against Cary-Grove in Huntley Sept. 22, 2017. Huntley defeated Cary-Grove, 41-32. Sarah Nader - snader@shawmedia.com Huntley's Eric Mooney scores a touchdown during the second quarter of Friday's football game against Cary-Grove in Huntley Sept. 22, 2017. 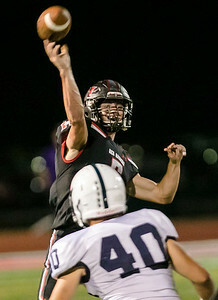 Huntley defeated Cary-Grove, 41-32. 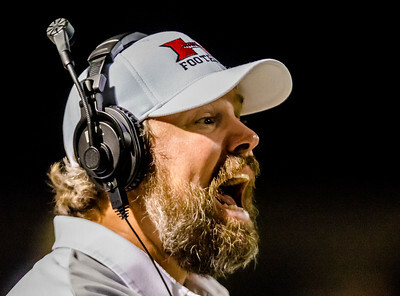 Sarah Nader - snader@shawmedia.com Huntley head football coach Matt Zimolzak during the second quarter of Friday's football game against Cary-Grove in Huntley Sept. 22, 2017. Huntley defeated Cary-Grove, 41-32. Sarah Nader - snader@shawmedia.com Cary-Grove's Zach Perrone dives to the ground during the third quarter of Friday's football game against Huntley Sept. 22, 2017. Huntley defeated Cary-Grove, 41-32. 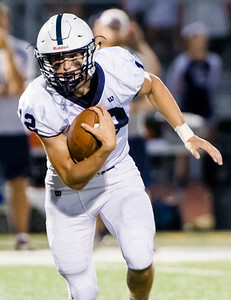 Sarah Nader - snader@shawmedia.com Cary-Grove's Michael Boyd runs the ball during the third quarter of Friday's football game against Huntley Sept. 22, 2017. Huntley defeated Cary-Grove, 41-32. 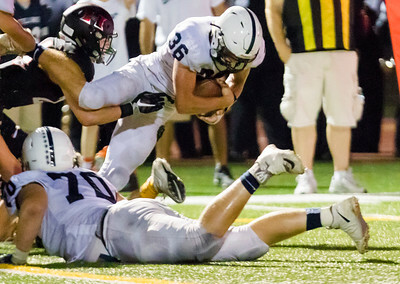 Sarah Nader - snader@shawmedia.com Cary-Grove's Max Buss is tackled during the second quarter of Friday's football game against Huntley Sept. 22, 2017. Huntley defeated Cary-Grove, 41-32. 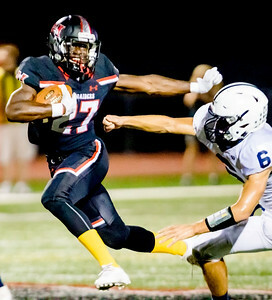 Sarah Nader - snader@shawmedia.com Huntley's Melvin Aninagyei-Bonsu (left) runs past Cary-Grove's Benjamin Ferrell to score a touchdown during the second quarter of Friday's football game in Huntley Sept. 22, 2017. Huntley defeated Cary-Grove, 41-32. 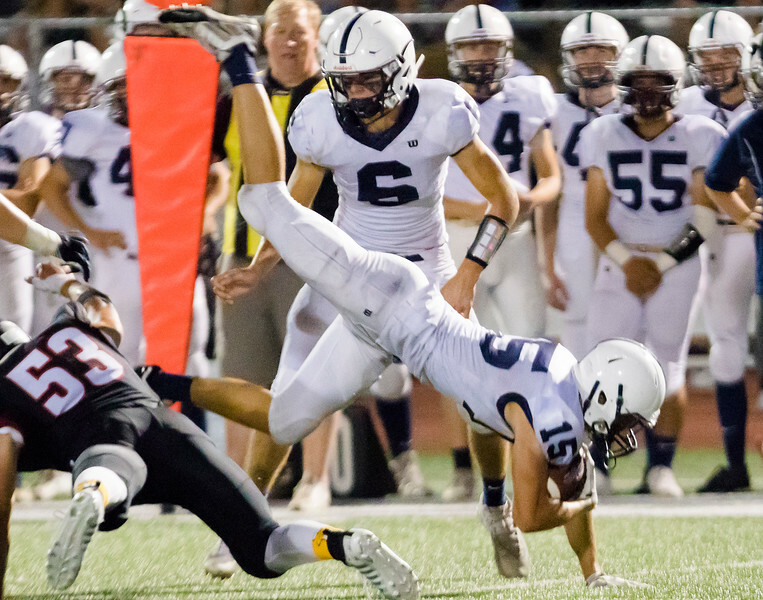 Cary-Grove's Zach Perrone dives to the ground during the third quarter of Friday's football game against Huntley Sept. 22, 2017. 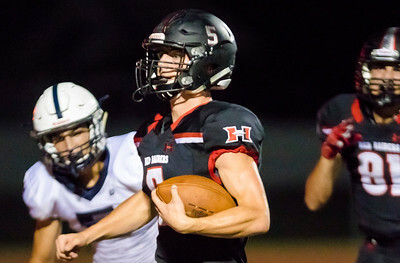 Huntley defeated Cary-Grove, 41-32.